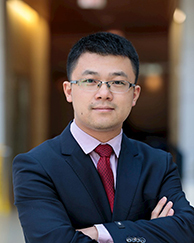 Linwei Xin is an assistant professor of Operations Management. His research interests include supply chain, inventory and revenue management, optimization under uncertainty, and data-driven decision-making. His work has been recognized with several paper competition awards, including the 2017 CSAMSE Best Paper Award, First Place in the 2015 George E. Nicholson Student Paper Competition, Second Place in the 2015 JFIG Paper Competition, and a finalist in the 2014 MSOM Student Paper Competition. His research has been accepted/published in journals such as Operations Research, Management Science, and Operations Research Letters. He won a $330,654.00 NSF grant as PI. He also has worked with companies/organizations through research collaboration or consulting including Walmart Global eCommerce, IBM, Boxed Wholesale, and JD.com. Before joining Booth in 2017, Xin was a faculty member at the University of Illinois at Urbana-Champaign where he was on the List of Teachers Ranked as Excellent by Their Students. While at the University of Illinois, he taught Stochastic Processes and Applications and Advanced Production Planning and Control. He also worked for Walmart Labs as a data scientist intern in 2015 and IBM Research as a research intern in 2013. Xin earned a PhD in operations research from the Georgia Institute of Technology’s H. Milton Stewart School of Industrial and Systems Engineering in 2015 and a bachelor’s degree in mathematics from Zhejiang University in 2008. He also pursued PhD studies in mathematics at Georgia Tech prior to his operations research studies.